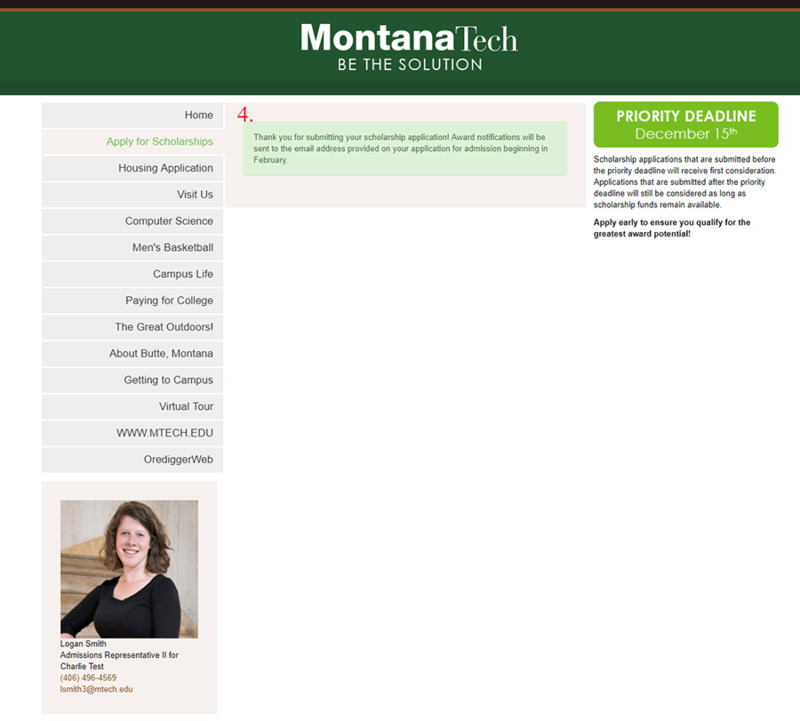 Log in and click on "Apply for Scholarships" on the left side of the page. 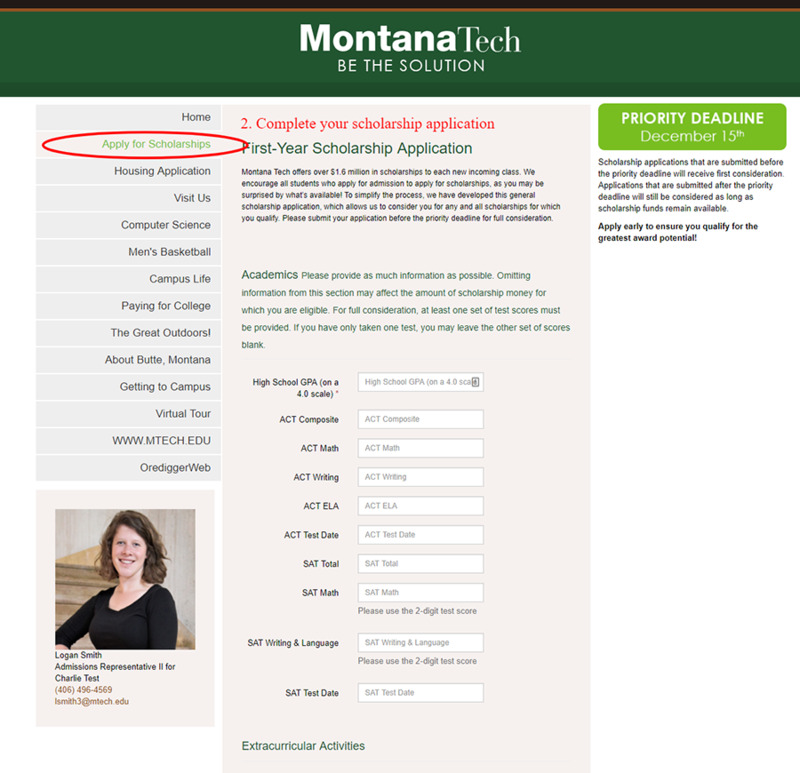 Fill out the application on the Apply for Scholarships page. Once your application is completely filled out, click "Go." 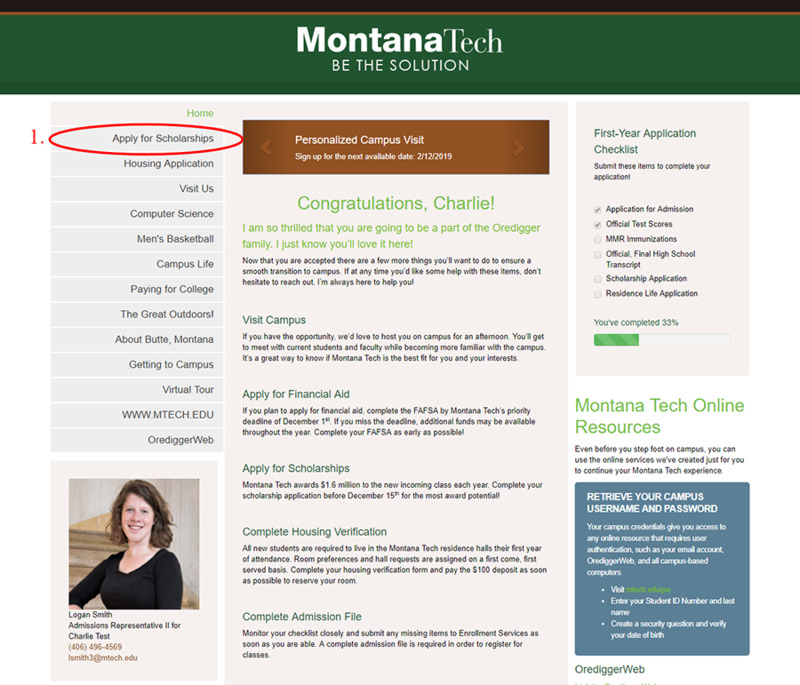 If your application is successfully submitted you will see a confirmation page thanking you for your submission.